CDAC Mohali Recruitment Notification 2017: Ministry of Electronics & Information Technology, Government of India, Centre for Development of Advanced Computing (CDAC), Mohali has advertised the recruitment notification this will be the great opportunity for the applying candidates those who are interested in this they have to apply on the official website. 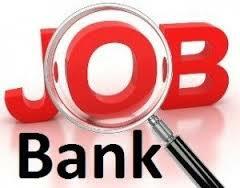 It has issued by the Chandigarh state govt it is based on the govt jobs in Chandigarh so here you can find the latest updates to check some more details to check in the given below website. You have any doubts on this recruitment please click in the given below link. CDAC Mohali Job Notification 2017 for the posts are TA (Technical Assistant) & Member Support Staff Posts this will be released by the Chandigarh this state govt will releases the various job in the private jobs and here you can see that the jobs are various in the various fields so you have to check the details on the basis of that job notification. Here you can make a success and so you have to prepare well for the exam that is they are conducting the skill test and the written test these are the basic things to get a job in this recruitment. You may have any doubts to click on the website that is in the https://sarkarirecruitment.com. CDAC Mohali Job On TA (Technical Assistant) & Member Support Staff Posts 2017 these posts are available in this recruitment if you want to know some more details on the basis of this job so you can search the more and more details on this job recruitment. In this, you can see that the details have in the notification it will give more information on the basis of this job recruitment. For this job you would prepare well for the exam it has two exams that are given in the above paragraph so you have to prepare for this recruitment all the for your examination. CDAC Mohali Job vacancy Details TA (Technical Assistant) & Member Support Staff Posts 2017 from the above table given the posts are divided into two types and in this, above here you want to know some more points please click in the given below link. Candidates should have First class Degree/ Diploma in Computer Science/ Electronics/ IT/ Computer Application or NCVT certificate in relevant trade where basic qualification for admission to the course is matriculation or equivalent or Graduation with first class in any discipline and DOEACC ‘A’ level for post-1, Diploma in Engineering or B.Sc. in relevant area with minimum 50% marks or NCVT/ ITI certificate in relevant trade for post-2 with experience in relevant field. Candidates upper age should be 48 years for PWD belonging to OBC category (Non-Creamy layer) and 50 years for PWD belonging to SC/ ST category. Candidates will be selected based on written test/ skill test. Click on TA (Technical Assistant) & Member Support Staff Posts. Last Date for Receipt of Application: 14-07-2017.